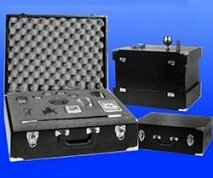 This combination case and performance platform is ideal for both the performance and the transport of briefcase-sized magic props. Wall panels hinge in place to give a rear entry cubical so that props can be concealed during a performance. The cubical also provides a place for the magician to retrieve items. This is an excellent performance platform for the trade show magician working exhibition booths. The Case Table is a quality prop that is finished with Formica type plastic laminate to resist scratches and provide durablity. Quality through and through, and custom built by the exacting standards of Chadwick Illusion Fabrications. Please note that free shipping does not apply to this item.